DC Doors provides 24 hour service for both commercial and residential. 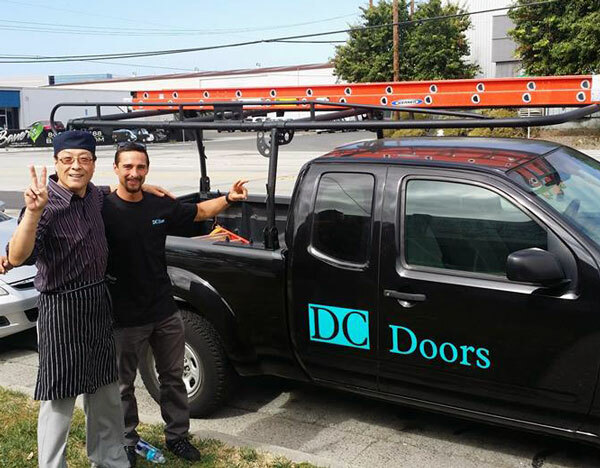 Derek Courtney- Owner of DC Doors has over eight years of experience with two of the top door repair and installation companies in the nation. DC Doors is now offering the experience and professionalism of a big corporation with the customer service and affordability of your local contractor. Repair and installation of rolling steel, overhead doors, garage doors, slide and swing gates, all types of motor operators, fire door certification. 24 hr emergency board up and glass replacement. Glass aluminum storefront installation and repairs. Access control systems, magnet locks, push/panic bars, electrified locks, re-keys, emergency lockout service. Become a part of our Preventative Maintenance Program! DC Doors offers a bi-annual and annual P.M. program. P.M. customers pay just $20 dollars a door. This includes lubrication, full inspection of door and any minor adjustments or repairs that can be made to the door. Any recommendations will be sent to the customer. All doors that receive P.M.'s will remain under warranty! DC Doors will repair/install anything that occupies an opening in a commercial building. To find the door that best fits your needs click the link to the right. From there you will be able to browse through all different makes and models. For any pricing info or quote requests please call DC Doors.